So adorable! Tiny, light pink flower balls bloom summer to fall. Reddish stems hold leaves that are deep green with burgundy chevrons, which turn to pink and then bronze in cold weather. 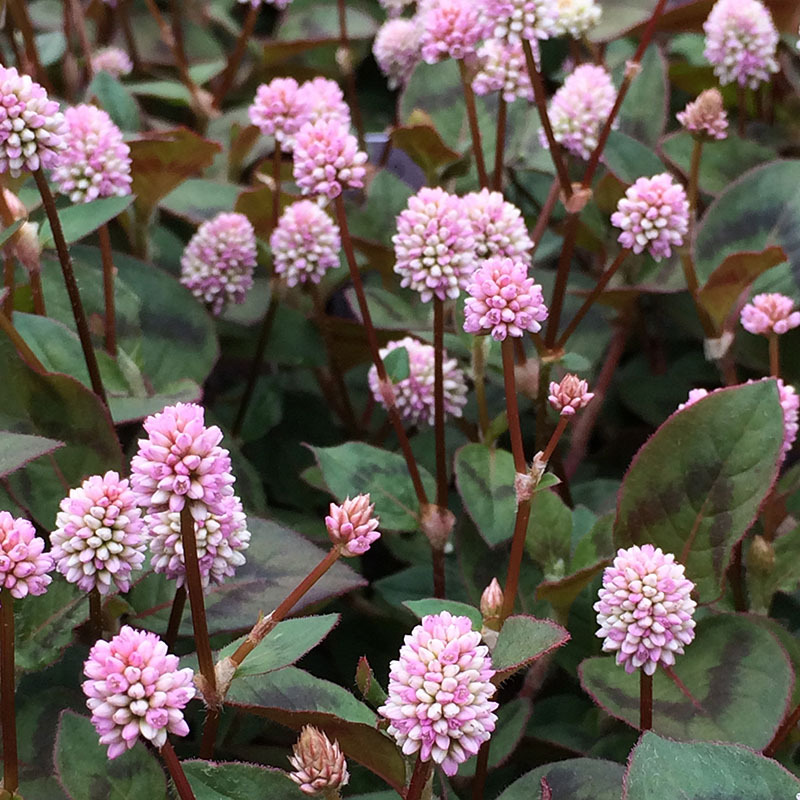 Grows in a gradually expanding circle to create a cheery, pink-dotted carpet of leaves, perfect for edging a border. Excellent in containers and hanging baskets where it will spill over the sides. Full-part sun. Height 3-6″. Spread 3′. Very drought tolerant. Will reseed if not deadheaded. Zones 7-10.